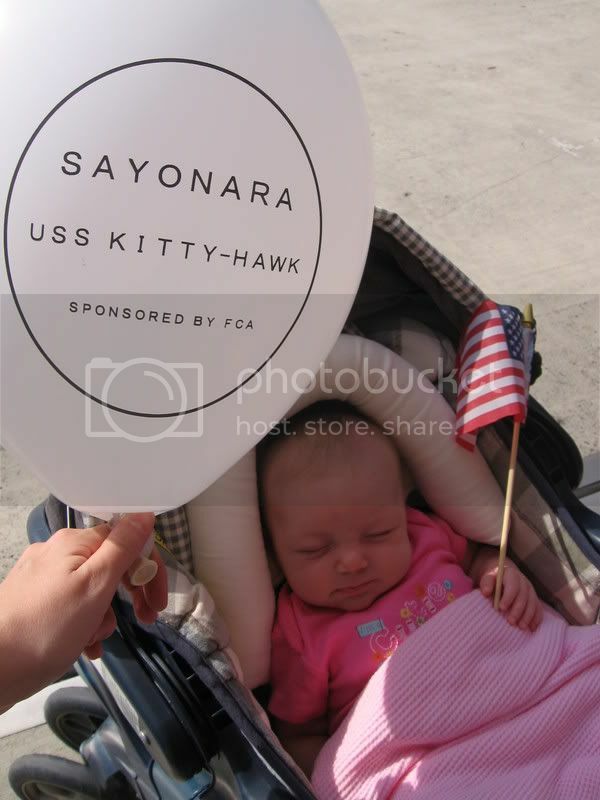 Team Hayes: Sayonara Kitty Hawk!!! 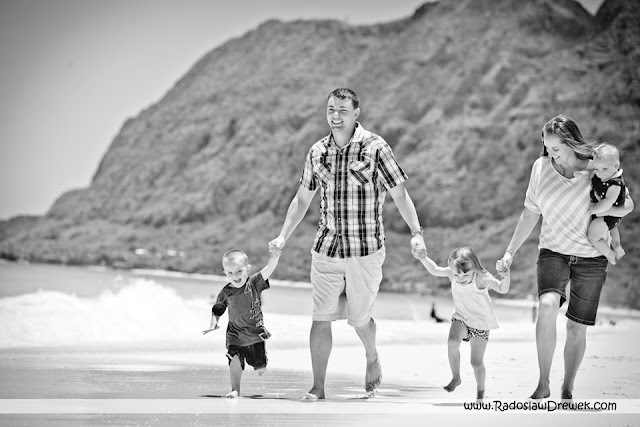 Brad left this past Wednesday. 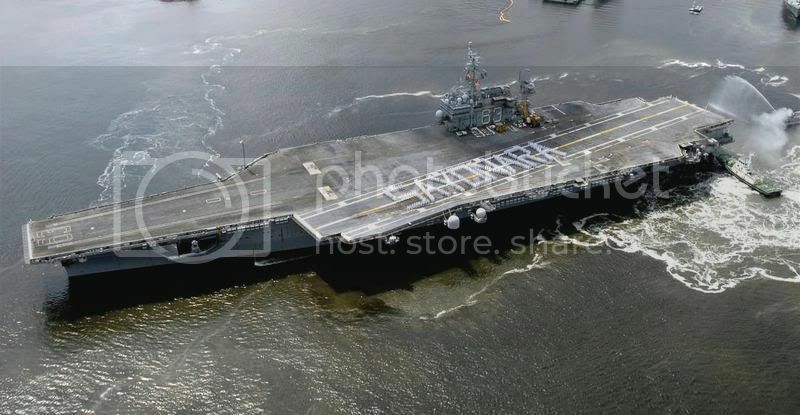 When he returns, it will be aboard the USS George Washington. The USS Kitty Hawk is sailing off into the sunset for good. The Navy has not yet decided what fate the 'Battle Cat' will meet. She could end up as a museum, as scrap metal, or even as new decoration for the ocean floor. When the ship pulled out on Wednesday, we had a little going away party for it. 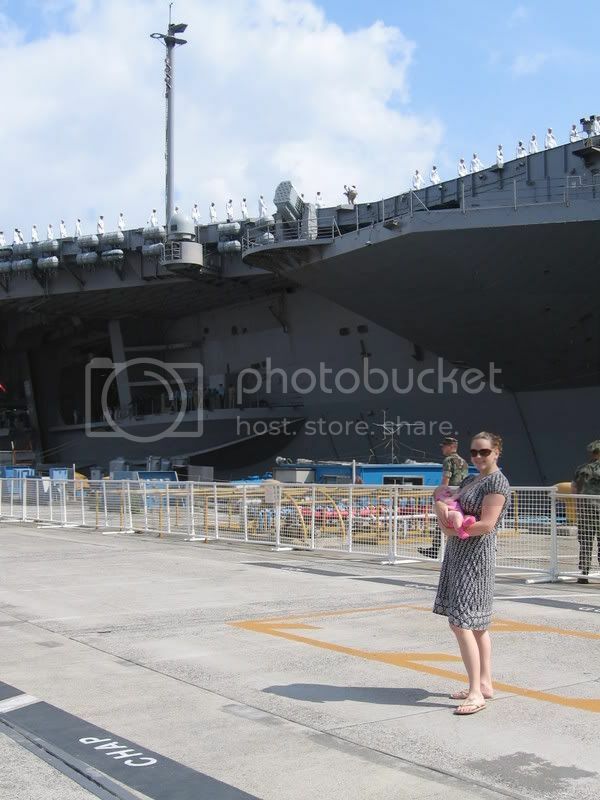 It was the last time this ship would ever pull out of Yokosuka, Japan. 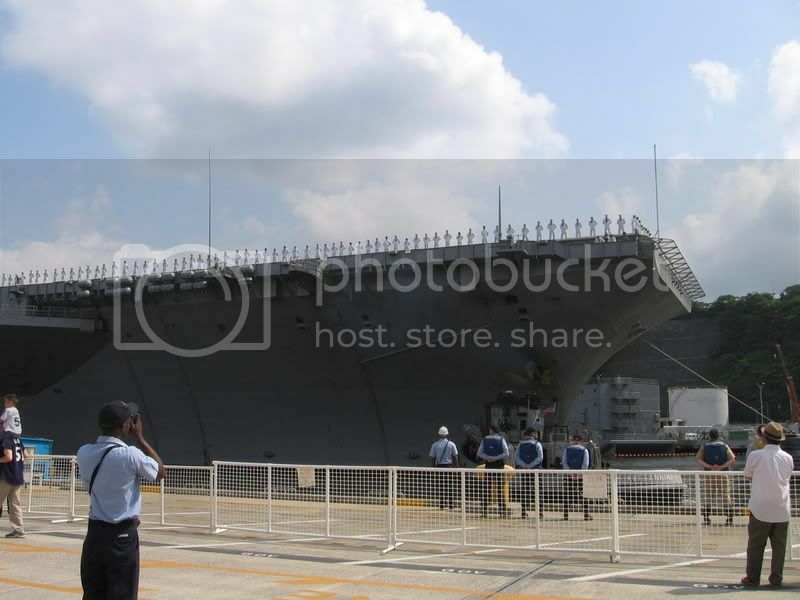 Commissioned in 1961, the USS Kitty Hawk has called Yokosuka it's home port since 1998. It is the ship with the longest active status in the history of the Navy (excluding the USS constitution, which I don't think should count). Anyway, Jocelyn and I hung out to watch the ship pull out. Here are a couple photos from that day. 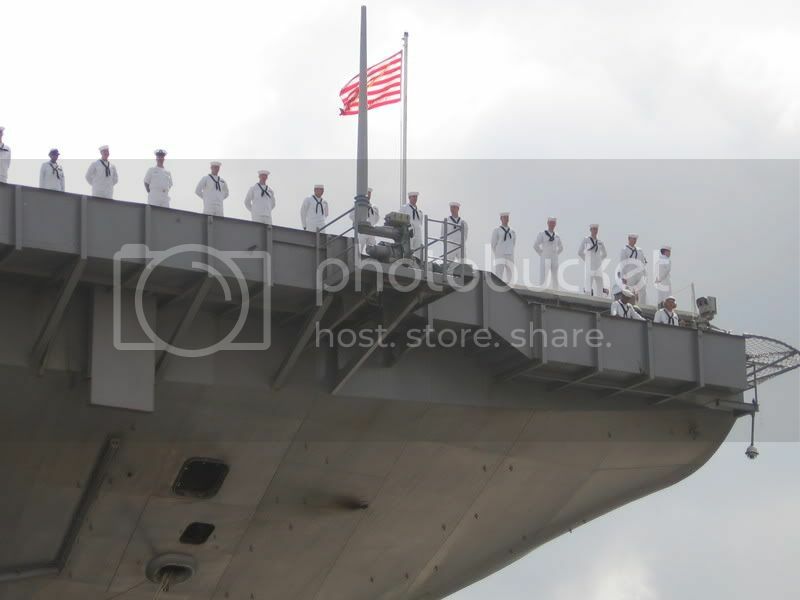 There were sailors "manning the rails" as the ship pulled out. When the ship got into the bay the sailors spelled out 'SAYONARA' on the flight deck.